You thought that everything would be perfect after the new automatic garage door installation but at some point you encounter strange behavior. The reality is that not even the best automated system can function perfectly at all times. The good news is that most problems are small and easily fixable. Use this advice on how to identify them and take the proper measures for resolving issues. Often the cause of the problem has to do with one of the belts which are part of the garage door opener mechanism. If the receiver of the system works fine, but the door still does not move after you press the button on the remote, then the belt will most likely require adjustment, repair or replacement. If door moves, but it seems to be too fast and somewhat out of control, then the issue will most likely be with the belt connecting the motor to the pulleys. It must be somewhat loose. Inspect it to confirm that this is the case and tighten it. Just make sure that the belt is not too tight. In this case, there will be extra strain on the motor and it can get easily damaged. You have to be careful so that you avoid garage door motor repair. If the door is reversing when it is moving down, then the problem is most likely with the safety sensors. You need to inspect them and ensure that they are properly powered and properly aligned. In most cases, garage door sensors replacement is not required, but if they are severely damaged this may be the only solution. If the door binds, then the issue is most probably due to a loose bracket. You simply need to inspect the garage door brackets and tighten them appropriately. If they are dirty or rusty, you need to clean them properly right away to avoid trouble in the future. 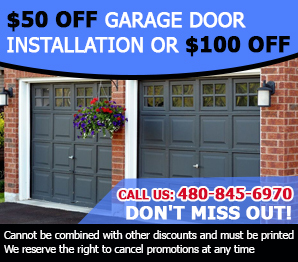 No matter what the problem is, you need to provide timely garage door repair.